Set against the backdrop of New York during the heyday of jazz, Monk! explores the rare alchemy between two brilliant beings separated by an ocean of social status, race, and culture, but united by an infinite love of music. 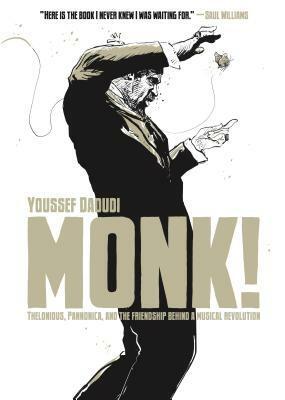 This breathtaking graphic novel by Youssef Daoudi beautifully captures the life of the “the high priest of bop” in spontaneous, evocative pen and ink that seems to make visible jazz itself. Youssef Daoudi is a comic artist and illustrator living in France. He worked as an art director for multinational advertising firms for fifteen years before committing himself to writing and drawing graphic novels, including Monk!. He is an avid traveler, and New York is one of the most inspiring cities he’s ever visited.